There are no words to describe how beneficial our Anti-Inflammatory Healing Ginger Turmeric Water is for your health. It’s an explosion of healthy-ness!! Another great thing about this recipe is that it takes minutes to prepare and has very few ingredients. What more could you ask for really? Ginger and Turmeric pair nicely together and lemon is very refreshing so it’s sure to please your taste buds as well. 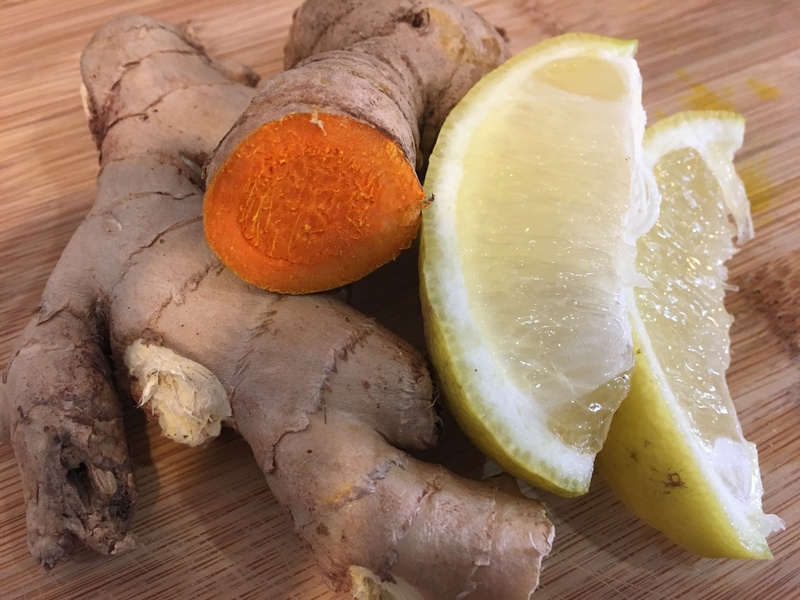 Ginger, Turmeric and Lemon all have many great health benefits and we wanted to share a few with you. 1. Fill your pot with water and bring to a boil. 2.While you are waiting for your water to boil, slice the ginger and turmeric thinly into round pieces and throw them in the pot. 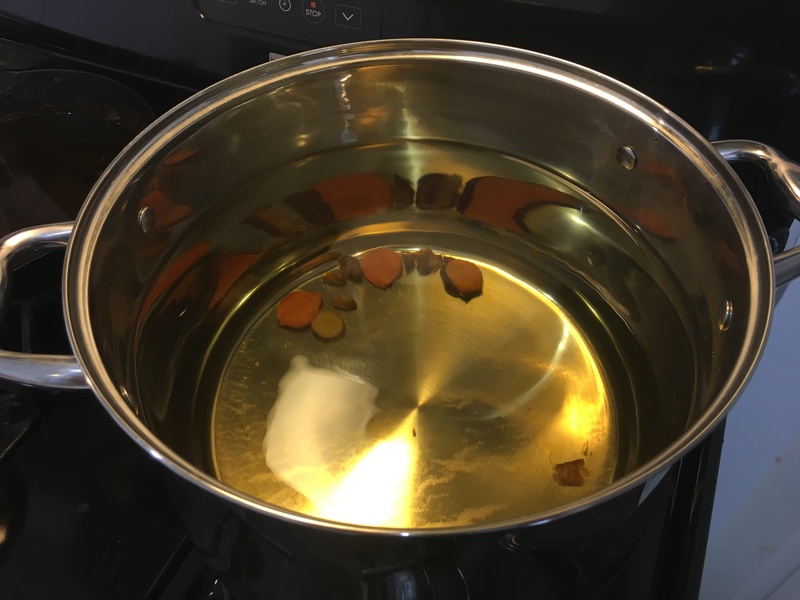 3.Boil the water for 15-20 minutes to allow the water to purify and the turmeric and ginger to infuse into the water. 5.Slice the lemon in half and squeeze lemon juice into the water. 6.Transfer the water into smaller jars so they are ready to grab and go. Staying hydrating will help you improve your health in a number of different ways not just physically but mentally as well. Making sure we drink enough water helps us stay in a good mood. We all know what it’s like when we are de-hydrated and cranky. Not a pretty site for most. Drinking enough water throughout the day helps detox our bodies which releases those nasty toxins. 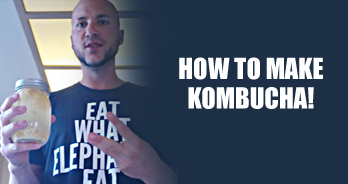 It can also help us improve digestion and aids our bodies function properly on a daily basis. Tune into the short video below as D&D talk about Tips to help you stay hydrated throughout the day. Detoxify Yourself. In this book Drew talks about the foods that heal, prevent and cure our bodies from nasty toxins. Included in the book is a 30 day meal plan to get your started in eating healing foods. The meal plan is complete with recipes and grocery shopping lists. Picture us taking you by the hand and guiding you to a better way for eating a better quality of life. 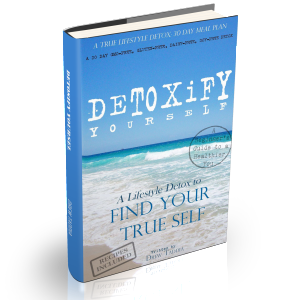 More details on Detoxify Yourself and be found here. Is this something I’m supposed to drink like normal water throughout the day, or do I drink it sort of like medicine, like once per day in the morning or before bed or something like that? Hi John, I see that you have your own health site. Very cool! We drink this water throughout the day. We believe food is medicine, so you can consume it throughout the day. More won’t do any damage, it will only increase the anti-inflammatories you’re putting in your body.